BSM26-33 – MoonFigures Collection, Art, and Reviews! Specifications:Depicts the Senshi from the S arch stopping at Uranus. It also includes a plush version of the Spiral Heart Moon Rod. This set is quite adorable. The bodies are stuffed and weighted down, while the legs and arms contain plastic beans. This is so they can be set on the edge of a shelf and balance themselves to some extent. I say some extent because they have a tendency to fall or lean backwards. While they ARE fairly durable some of the finer details like the straps on Neptune’s shoes may come loose. 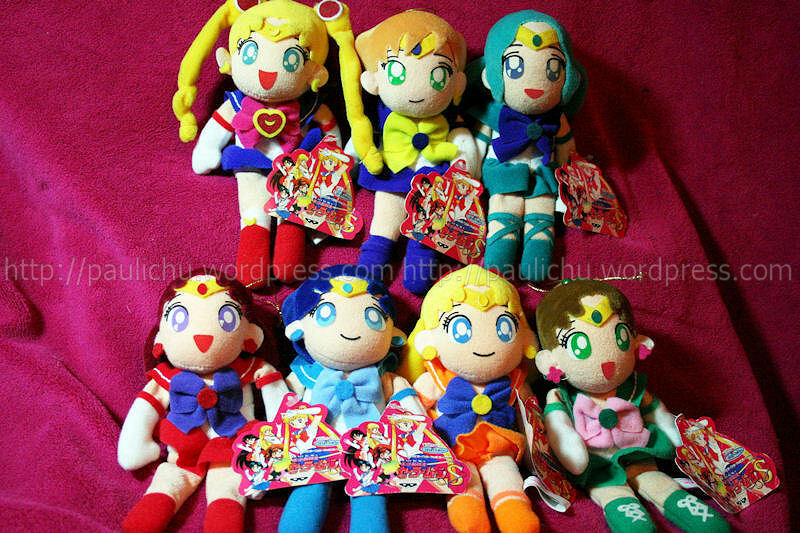 I am looking for the Spiral Heart Moon Rod plush that belongs with this set.